Imagine a fuel with no harm to the environment and which is safe to burn. Yes, with biodiesel, this could be a reality. As an alternative fuel similar to petrol and fossil diesel, biodiesel is an advance form of biofuel produced from an animal or vegetable fat based renewable fuel. Even, used cooking oil (UCO) could be effectively used to produce biofuel and of great use in diesel vehicles. This revolution is helping several countries overcome their dependence on diesel, as biodiesel has the combustion properties which are very similar to those of petroleum diesel. 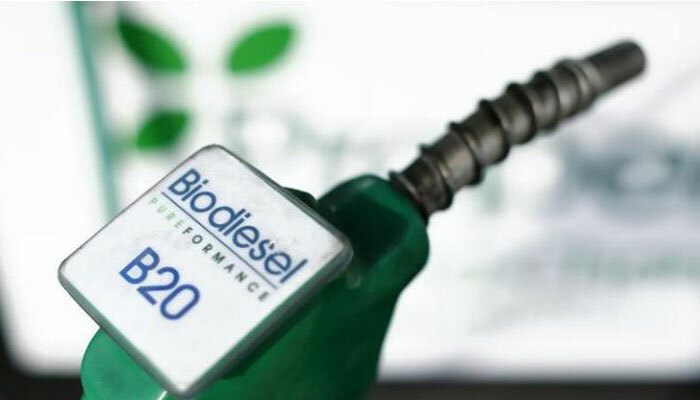 Why biodiesel in automobile sector? It is biodegradable, nontoxic and produces fewer pollutants when burnt completely. It can be used in pure form (B100) or blended with petroleum diesel. Most of the common blend includes B2 (2% biodiesel, 98% diesel), B5 (5% biodiesel, 95% petrodiesel) or B20 (20% biodiesel, 80% petrodiesel). It has reduced exhaust emissions as compared to petroleum diesel fuel and also it has lower toxicity as compared to the petroleum diesel fuel. If we compare biodiesel with petroleum diesel, it is safer to handle and its quality is governed by ASTM D 6751 quality parameters. It can also be distributed through existing diesel fuel pumps, which is another biodiesel fuel advantage over other alternative fuels. The lack of sulfur in 100% biodiesel extends the life of catalytic converters and also the lubricating property of the biodiesel may lengthen the lifetime of engines. Biodiesel is made through a chemical process called transesterification in which the glycerin is separated from the fat or vegetable oil. The process leaves behind two products -- methyl esters (the chemical name for biodiesel) and glycerin (a valuable byproduct usually sold to be used in soaps and other products). For instance, taking Delhi and Gurugram together 16,99,000 tons of diesel is consumed per year. Just for an estimated use, if 5% of biodiesel is blended with petroleum diesel then 84,950 tons of diesels will be saved per year. According to a research, the population of Delhi – NCR is 47 million. The usage of edible oil by per person in India is 14.4 kg per year and the total consumption of oil in Delhi – NCR itself is 6,76,800 tons per year, which is a quite huge number. If we consider only 10% of this as waste, then the potential to collect UCO will be 67,680 tons per year. Biodiesel can prove to be a game changer for the energy security of our country, which is aspiring big. Yes, our government has come up with the National Policy on Biofuels 2018, which includes harnessing of biodiesel to meet the energy security of India. The goal of the policy is to enable availability of biofuels in the market thereby increasing its blending percentage. Currently, the ethanol blending percentage in petrol is around 2.0% and biodiesel blending percentage in diesel is less than 0.1%. As an indicative target the government has approved 20% blending of ethanol in petrol and 5% blending of biodiesel in diesel is proposed by 2030. Additionally, on World Biofuel Day, the Food Safety and Standards Authority of India (FSSAI) launched RUCO – Repurpose Used Cooking Oil, an ecosystem that will enable the collection and conversion of used cooking oil to biodiesel. The Policy aims to increase usage of biofuels in the energy and transportation sectors of the country during the coming decade. The various efforts by the government to solve the transportation and mobility solutions have not worked well so far. It’s the biodiesel which can work as an effective and great alternative for the country. And, this will also help India to meet its global climate commitments.